On International Day of Forests 2017, the Telegraph compiled this map. But which countries boast the most? The map shows the world according to percentage of forest area, as recorded by World Bank Open Data. 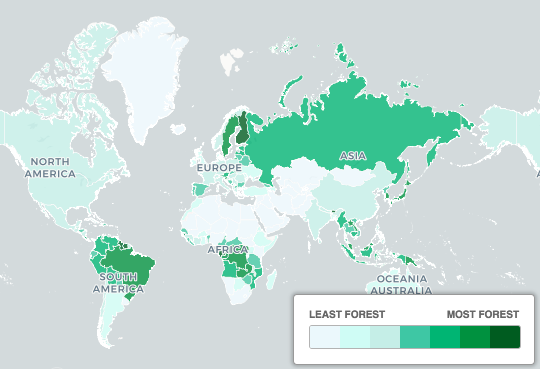 Can you guess which four countries have no forest whatsoever? 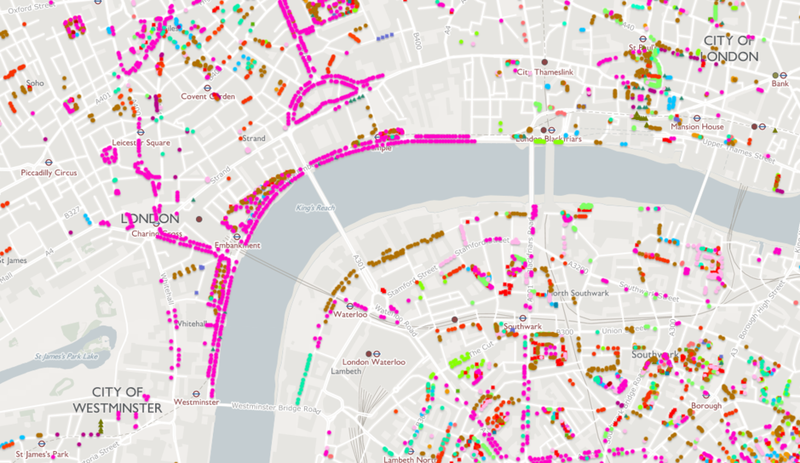 The interactive London Street Tree Map is colour-coded by species and allows you to zoom in and out. This map has been created using tree data made available by London’s local authorities and Transport for London. The map shows locations and species information for over 700,000 trees. The majority of the data is for street trees but also includes some park trees. it’s estimated that there are over eight million trees in London, so the map is only a partial illustration. The data was provided in 2014-15. As cities around the world recognise the importance of and race to implement green canopy strategies, Treepedia have developed a metric—the Green View Index—by which to evaluate and compare canopy cover. In collaboration with the World Economic Forum’s Global Agenda Council on the Future of Cities and the World Economic Forum’s Global Shapers community, we will continue to grow this database to span cities all over the globe. What does your green canopy look like? An interactive tree map of the US allowing you to check canopy cover, wildfire risk, disease and pest risk and many other factors. 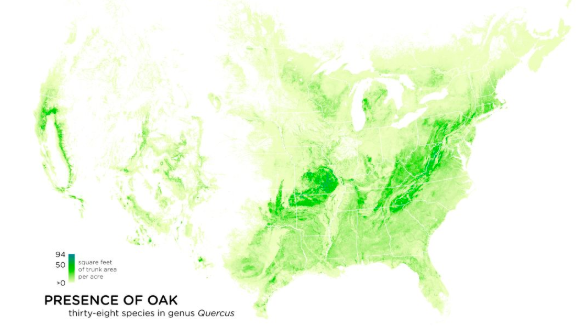 A series of maps showing US trees by deciduous, evergreen or genus. These maps show patterns that can't be seen with the usual blob maps. In addition to the absolute and relative distribution of the twenty most dominant tree types, they also show higher-level patterns: species diversity, deciduosity, and non-American trees.